I've been cooking more meals since the day we have two wonderful addition to our growing family. There are days that I need to cook a small meal and sometimes during dinner, since everyone is home. I have to make a meal that would feed three boys and myself [woman]. YES!!! I am out-numbered. Anyways, I have the opportunity to make this thing possible. 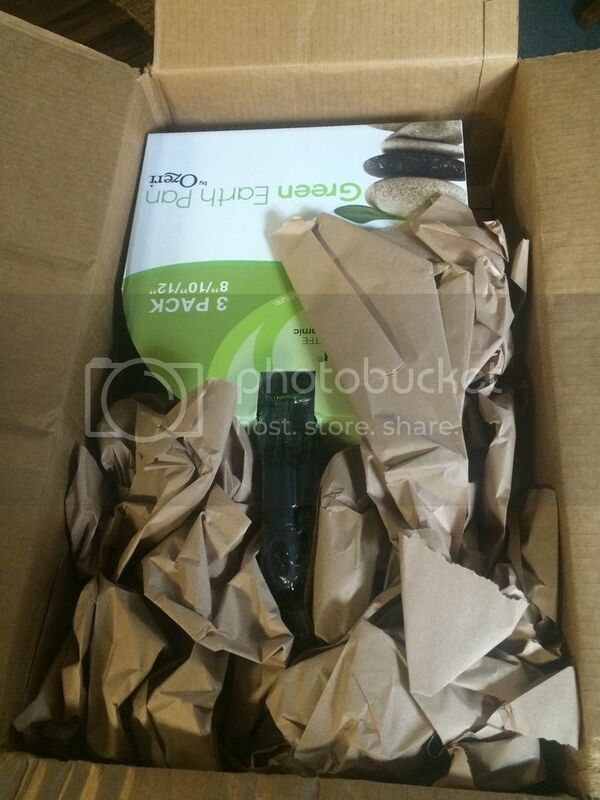 Ozeri has given me the chance to review one of their amazing products. 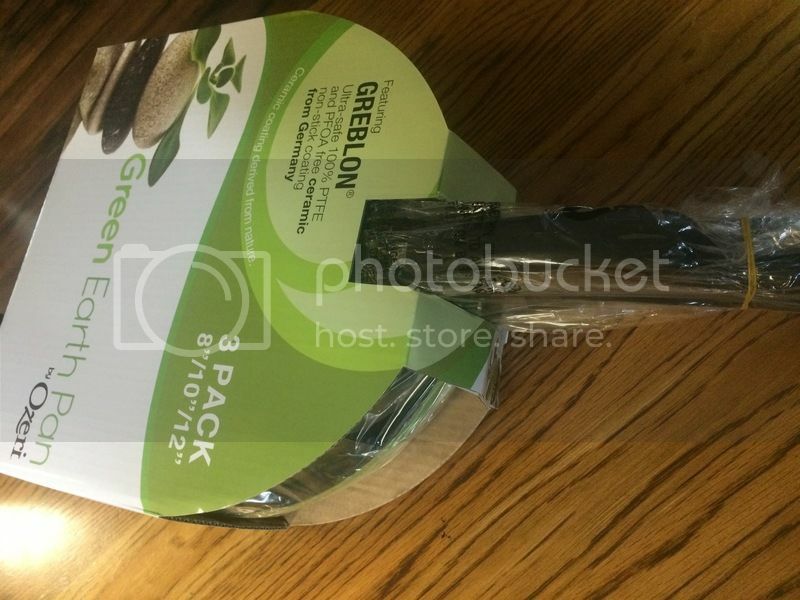 This time, I get to enjoy their Green Earth Pan, 3 pack. That's right, you have read it all right. There are 3 pans, 3 packs not only that it comes in different sizes. Simply amazing isn't it? The minute I saw the product, I told myself this is what I needed. I can use the 8" pack whenever I cook only small food and the 12" pan if I need to cook for the whole family. Also don't forget it has another pan in which the size is just about right, 10". Another fact about this pan is not only they come in the pack, but also the benefits that it is GREBLON, ultra safe 100% PTFE and PFOA free ceramic, a non-stick coating which is the biggest thing I've always wanted with my pan, for easy to wash as well as I don't need to put too much oil whenever I fry something. And also this item comes from Germany. The arrival of this product is fast. One thing I am only concern is how it was being packed. If you noticed the shipping box is slightly opened, meaning when they taped it it seems that it isn't properly taped. Either you can put something intentionally or not still, I've always wanted to receive a box that is securely sealed with company's tape. Easy to clean, lighter than the ordinary pan and I like the color green. Very vivid as well as the inside design. The product is made of a high quality material in which I am very happy to know. Each pan boasts a comfortable heat-resistant silicon coated handle, and a magnetized induction stove safe base for rapid heat transfer. I will definitely recommend this product and will buy it again. I'm all about cooking healthier meals for my family. These pans sound great. I like that you can fry food with less oil in these pans. i love their pans, they don't last very long but with proper care, it can. This sounds like a really nice set of pans! It is high quality and it's environment-friendly. I like Ozeri's pans. They are really durable. Mine is already 2 years old and it still works perfectly fine. I missed the opportunity to try these pans Mommy Nova. The code runs out so fast. I am so glad that you got one. These pans are amazing and love using them with anything. 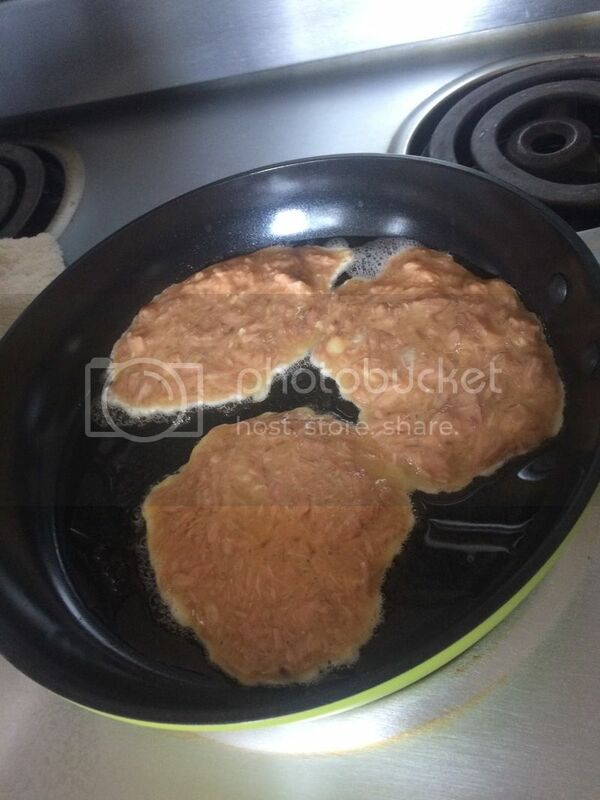 I really need new pans. The old ones are nearly to the end of their services. This is a timely post as I am looking for something affordable and will definitely do the job well.